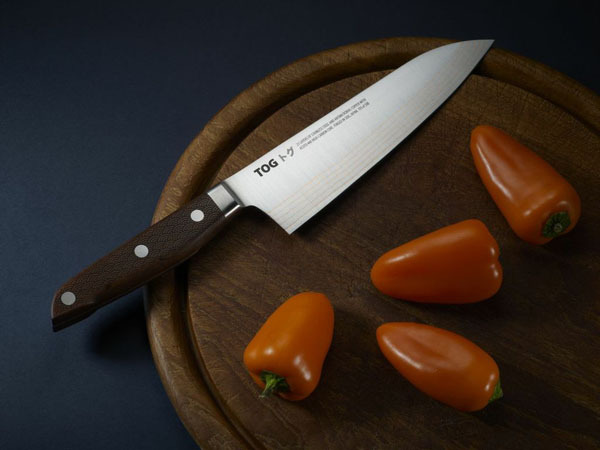 Based on the folded construction of Samurai swords, and forged in Seki City - the heart of Japan's Samurai sword making industry - TOG is a new range of elite kitchen knives. For those who appreciate the geeky stuff and want the low down on the spec, they are made from a special steel, forged in Seki City and, like the swords that have been made there for 800 years, TOG blades are layered and hardened to give an amazing combination of sharpness and strength. 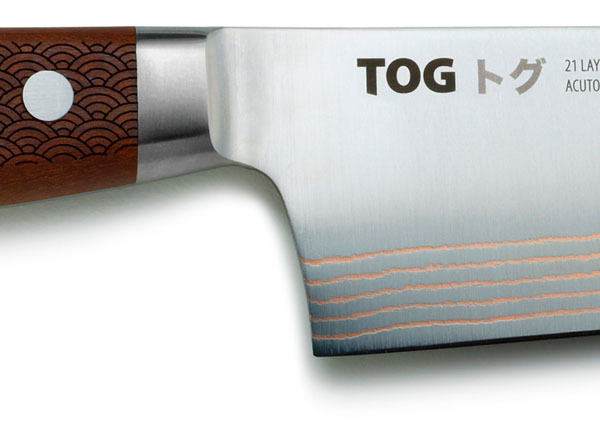 The design incorporates 21 layers of metal in total, including 10 antimicrobial copper alloy layers (each just half the thickness of a human hair) which give TOG blades their unique stripes. As well as being a supremely efficient cutting tool for those who take their kitchen utensils seriously or use them as tools of the trade, they are also rather beautiful. The handle is laser etched with a traditional Japanese pattern and is made from Kebony, treated Maple wood from sustainably managed forests in Norway. It also has a unique shape - tapered at the top with a scoop on the side for the little finger to give the user control when slicing. 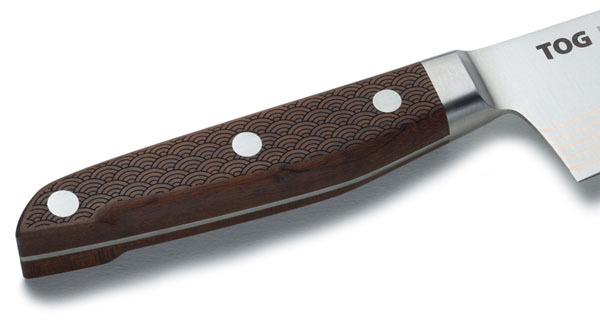 Designer Robert Beagley Brown worked in Seki after graduating from the Royal College of Art and was so impressed by the craftsmanship of the artisan knife makers there that he wanted to bring their expertise to the UK. "I had the privilege of visiting a true Samurai swordsmith called Hiromune Takaba and he totally inspired this project," he says. "TOG is a true international collaboration and I hope this is reflected in the design - it's intended to be the best of East and West coming together."